at the DRIVE ELECTRIC EVENT at the Whitney Bros. Parking Lot! 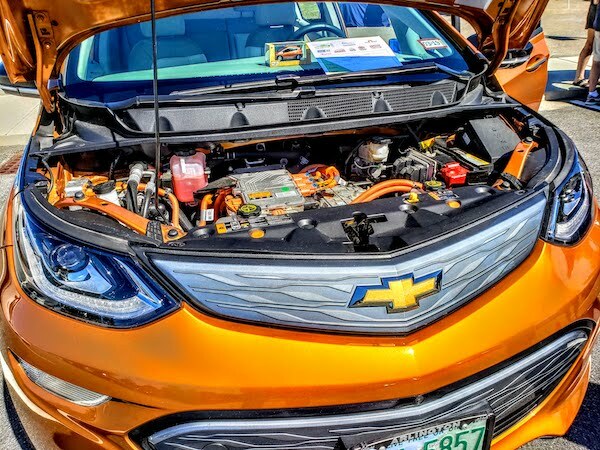 check out and test drive Electric Vehicles like these Chevy Bolts from last year's event! Ask owners how much they love their cars, and listen to experts discuss the coming EV infrastructure to support EVs. 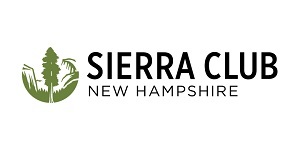 NH electric drivers will share their stories about owning EVs in the Granite State! 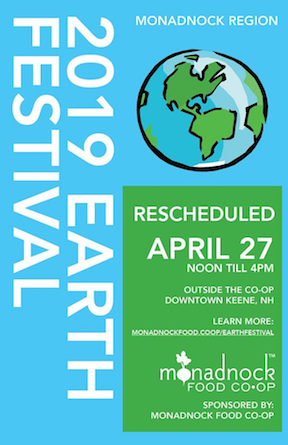 We will also have dealerships - Nissan of Keene will be bringing the updated 2019 Nissan LEAF & LEAF+ to the event ready to take test drives! Fenton Family Dealerships is supporting this event as a sponsor - thank you for your generous donation! As we learn about more cars that are not listed on the site we will be adding more information! Check back often! 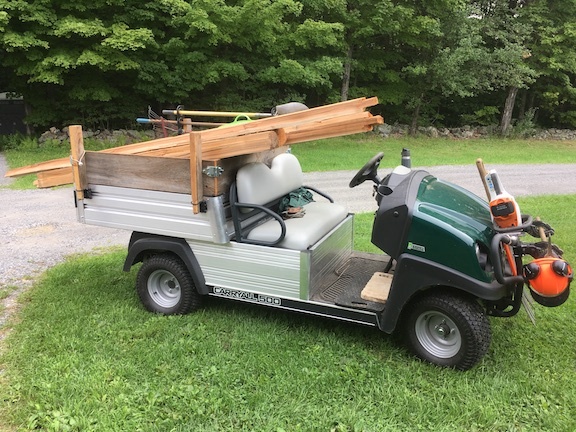 I also just learned we will have a unique tandem e-bike with an owner willing to provide rides to those who want to feel an "assisted bike ride". He can offer these rides as long as the crowd isn't so large that it becomes dangerous. The trail is right by the parking lot - but please understand if we need to limit them due to crowd size. 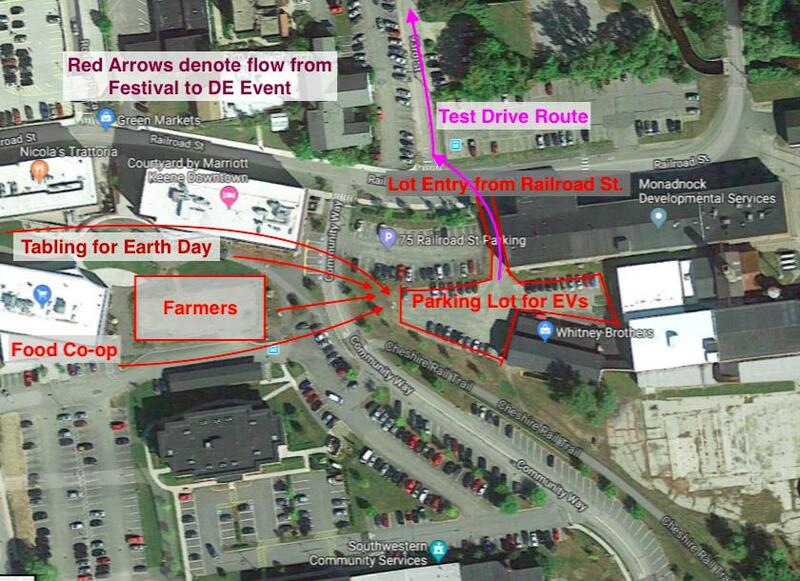 Check out where to find this Drive Electric Event when at the Earth Day Festival. They are just next door to each other - follow the farmers to the Drive Electric Parking Lot and Signs! Note: visitors should not enter with their cars to the Parking Lot for EVs. Just the EVs will be parked there as space is limited. 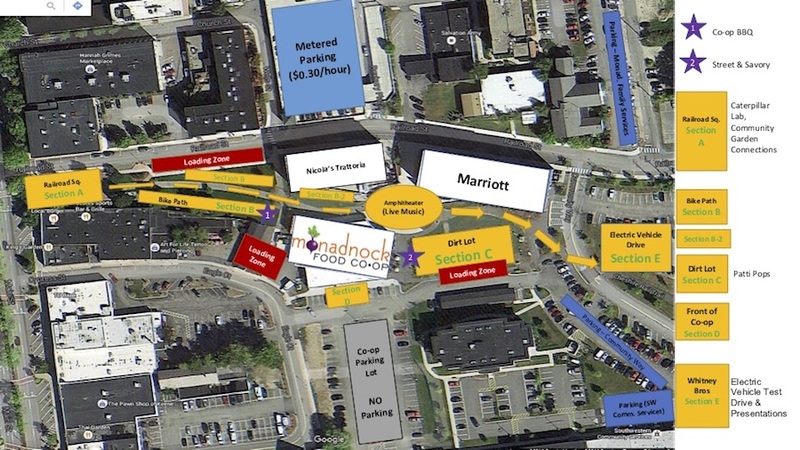 There are many places to park along Keene streets and in local parking lots within a few minutes from the festivities. The Coop has provided a layout of the overall activities and marked "No park" zones as well as outlined a paid parking lot on their map - check it out for more information on the general festivities! 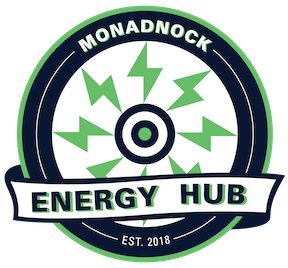 For EV owners that would like to drive a path that is about 10 miles long and has some faster mileage to show off the vehicle - please see link below for path that should avoid most of the congestion around the event area, gets you out to Routes 101 and 9 for a bit and then back to the event site! 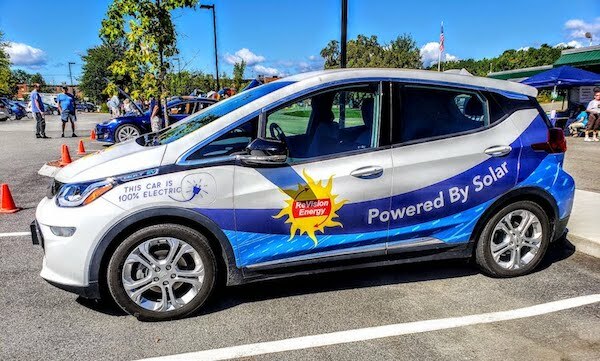 Registered attendees report 267,853 electric miles driven.